So you like to keep your rig running minimalist but practical? Maybe you prefer to tape a spare tube and CO2 to your frame to keep the profile and weight low? The Mountain Bandit is the best of both worlds in terms of simplicity and utility for mountain riders. Its compact form bolts under your SWAT™-compatible saddle and features a simple, Velcro strap with individual compartments for tube, CO2, CO2 nozzle, and tyre lever. One rip of the strap and you’re in, with easy access to everything you need to fix a flat, when time is of the essence. Individual compartments for a CO2 valve head, mountain tube, two-sided tyre lever (included), and a 25g CO2 cartridge for compact and secure storage. Can you tell the difference between 15psi and 17psi? No you can't. We can't either, but our digital gauge can. Today's wider, lower pressure tires are more pressure-critical than back when we just used to put as much pressure in as the pump could stand. It's not about fending off flats these days, it's about grip. And the difference between too much and not enough can be as little as a couple of pounds of pressure. The days of 'giving it a squeeze' are over. Slapper Tape comes in a handy re-usable tub and is 100cm length per roll, 25mm wide – perfect for any bike. The SP Connect™ BIKE BUNDLE lets you mount your smartphone to your bike in seconds. 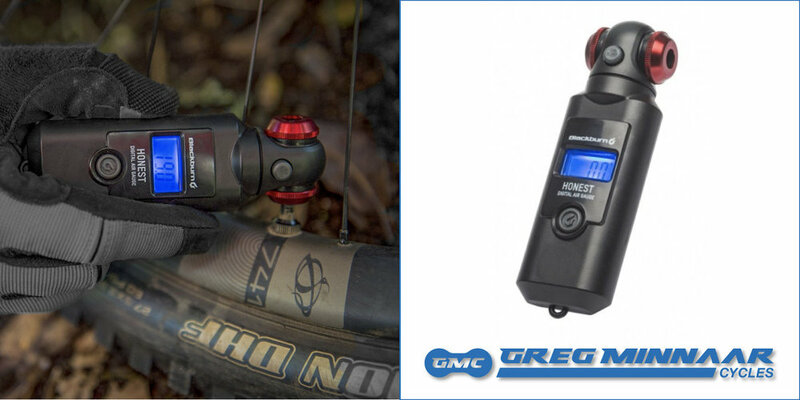 Fasten the CLAMP MOUNT or STEM MOUNT to your bike and you are ready to mount the SP Connect™ PHONE CASE (or UNIVERSAL INTERFACE) by placing it on the mount and turning it 90° clockwise. Your mobile phone is securely positioned right in the centre of your vision, allowing you to use your apps, access your playlists, read messages or navigate. Use the WEATHER COVER to protect your phone from rain and dirt as well as to provide additional shock resistance. Note: Thick screen protectors or gloves can limit the usability of your touchscreen in combination with the Weather Cover. The Weather Cover can further affect the home button functionality of iPhone 8, 8 Plus, 7 & 7 Plus. This can be compensated by enabling the software home button (Assistive Touch). Bar-mounted aluminium brackets allow you to carry your load with security and stability. Urethane-coated webbing straps interface with aluminium buckles for easy adjustment, reliability, and a long lifespan. 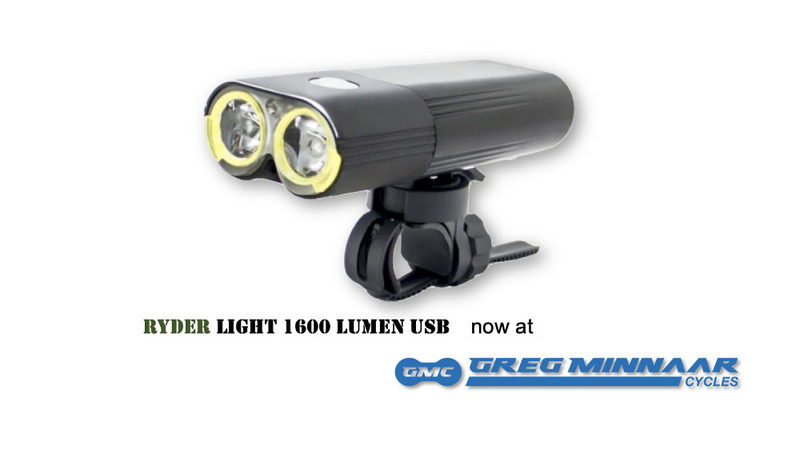 Compatible with either flat- or drop-bar bike configurations. 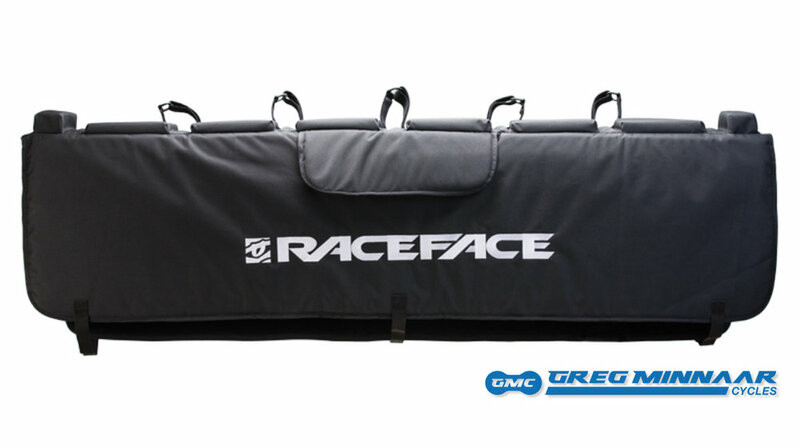 Robust protection from Race Face for your bakkie's tailgate, giving a padding buffer between the tailgate and your bike when shuttling bikes! Raised square pads along the outer tailgate (small pad only) offer the additional security of holding forks in place. Grommet system offers the ability to lock bikes.